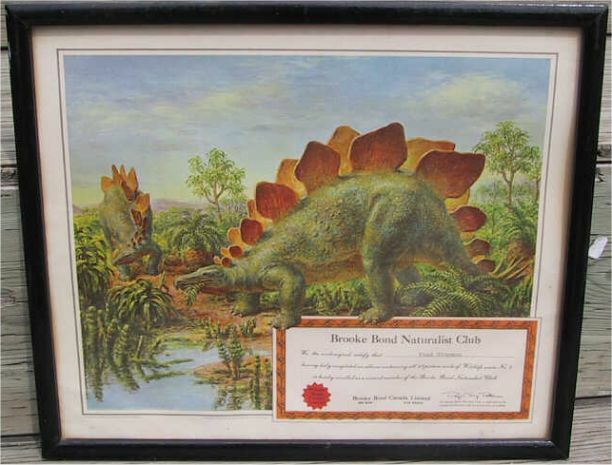 What is a Naturalist Club Certificate? 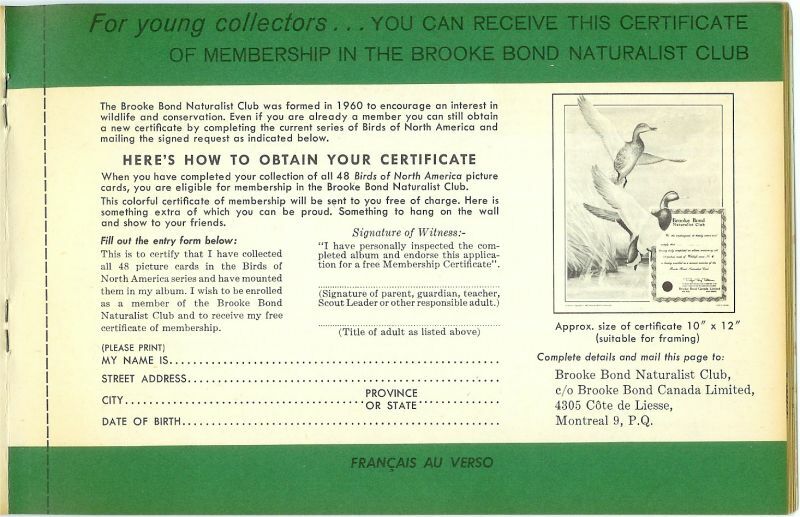 To quote the offer inside an album, "For young collectors... YOU CAN RECEIVE THIS CERTIFICATE OF MEMBERSHIP IN THE BROOKE BOND NATURALIST CLUB." It goes on to say that the club was formed in 1960 to encourage an interest in wildlife and conservation. 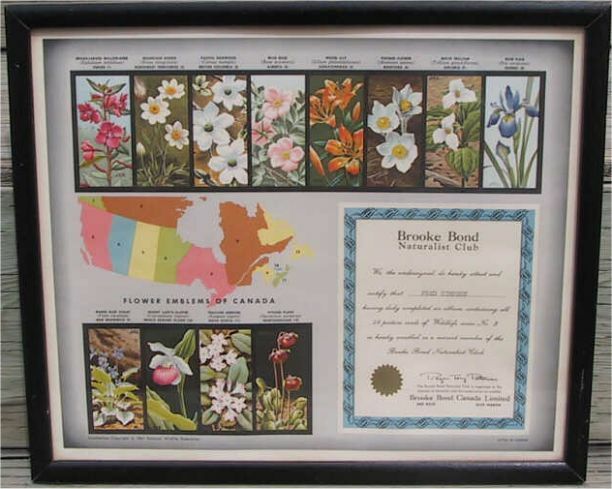 All you had to do to get a certificate was to complete collecting the series and paste them in your album. Then the kid would fill out the entry form with the standard info and then get an adult (parent, guardian, teacher, Scout Leader or other responsible adult) to sign that, "I have personally inspected the completed album and endorse this application for a free Membership Certificate". The kid mails the form to Montreal and voila, a certificate shows up in the mail. By my best reckoning, there are only five different series albums that actually offered a certificate. Yup, sounds like enough of a reason for another chart. Was that a groan I heard in the back? You know me better than that. You know I just live to make charts. Click the thumbnail to see the actual full size image. Once the large one has been viewed, click "Back" on your browser to return to this page. If you will recall, Series 7, African Animals, had an insert as well, but no offer for a certificate. Instead, the page read, "COMPLETE THIS ALBUM WITH THE FREE CARDS AVAILABLE IN THESE FINE Brooke Bond PRODUCTS". It then showed you many Red Rose products on one side and Blue Ribbon products on the other side. 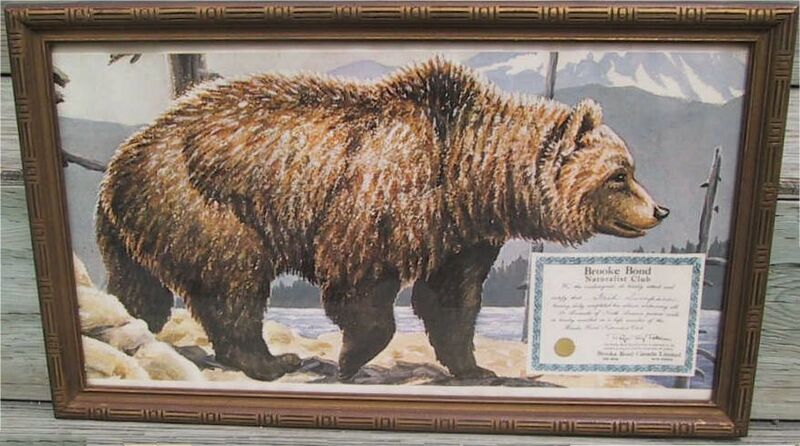 You may have noticed on the chart above that the Series 2 Bear is good sized at 20" x 10". It is quite impressive in person. Brooke Bond may have figured that out as all of the rest are a bit smaller and more manageable. It appears they also figured out they were a bit sexist with the first certificate. A portion of the first says, "...having duly completed his album containing all 48 Animals of North America picture cards..." while all of the subsequent issues say "...having duly completed an album containing all 48 picture cards..."
There is a shiny glued on gold seal on the first 3 certificates that changed come the time of the dinosaur. Perhaps too many parents complained that the seals came off if the kids fidgeted with them or perhaps it was just cheaper to make them that way, but either way, the pretty gold glued on seal was replaced by a printed red seal that said "Brooke Bond Canada Limited." Come the sixth and final series to offer a certificate, the seal was gone altogether. 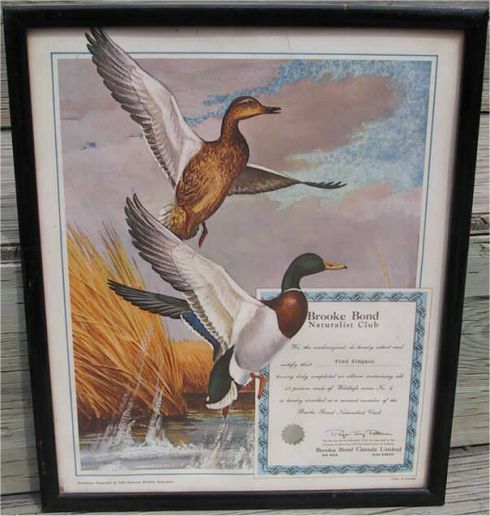 The entry form says that the certificates are suitable for framing. Framing the certificates is a popular thing to do. 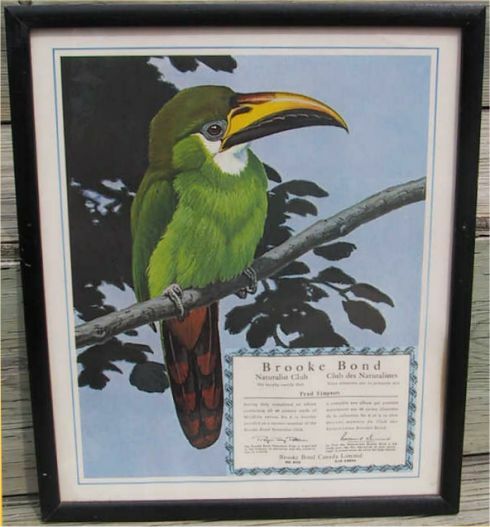 You can see all of the images used here depict framed certificates. Another popular thing to do is to pin them on the child's wall. Several of the certificates I own have corner pin holes in them.